When the Kansas City Royals announced that Salvador Perez will be the catcher though 2019 I was ecstatic. My initial thought was this is a huge signing not only because of what he does himself, but also because of the familiarity that the pitchers will have for the future. With all the young pitchers that will be on roster, that familiarity will be huge. The deal is for $7 million 5 years with a club option for 3 years. The total amount through incentives is $26.75. When the announcement was made that the major signing was for Salvador Perez some “fans” on twitter mocked the signing saying this is not major because it is not Hosmer or Gordon. This signing is fits the major mold perfectly. For the Royals to sign a player with comparisons drawn to Pudge Rodriguez and Sandy Alomar Jr. for such a low price allows room for Dayton Moore to work with contracts for Eric Hosmer and Mike Moustakas. The most realistic comparison I can think of is Yadier Molina. While both Molina and Perez have the arm strength, bat speed, patience, and all other skills needed to play at the major league level, the true aspect that sets them apart from most other catchers is their baseball IQ. Watching Perez as a rookie pick runners off at first base was astonishing. First for a rookie to realize and risk throwing to first, but to actually execute is amazing. 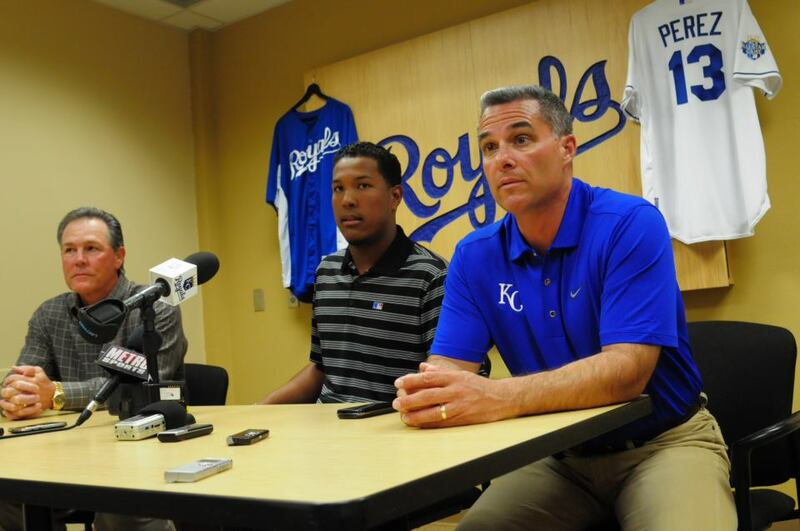 Salvador Perez will bring an intensity to that ballpark that a young team needs. He is a kid that loves the game and he treats the game with the utmost respect. Ned Yost has had beyond high praise for Perez in his Media Session last year. Yost pointed out that the Royals pitching staff hasn’t been giving Perez the best opportunity to throw guys out because they are not getting the ball to the plate quick enough. Getting the ball to the plate quicker is all about a pitcher’s delivery, and speeding up their delivery time is going to be a point of emphasis next spring, Yost mentioned. “If we’ve got a catcher that can throw like he can, we’ve got to have the ability to give him the opportunity to throw runners out,” Yost said. Overall, the signing of Perez is just one move towards the future. While it may be a “major” signing, the major obstacle is signing Eric Hosmer. Dayton Moore and the Royals will most likely have to overpay for Hosmer. There will be some amount that is enough to keep Hosmer, the Royals need to find that number and find it quickly before it raises. 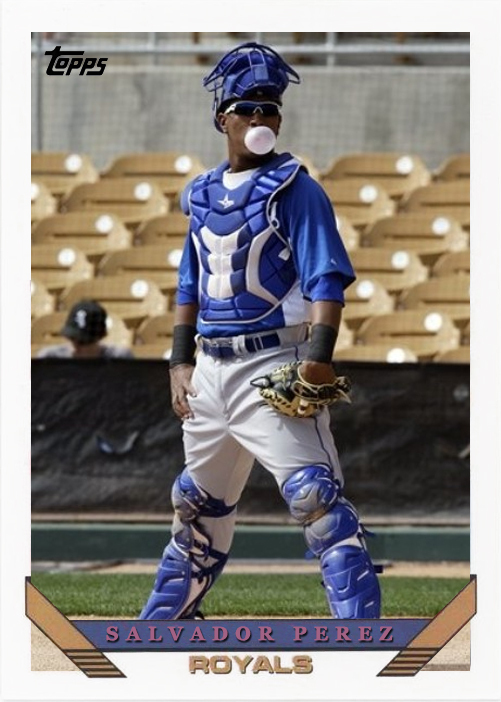 I expect Salvador Perez to make two All-Star games during this contract because of his talent and lack of talent at the catcher position in the American League. Yes Joe Mauer is the best in the AL but there will always be a back up catcher for the All-Star game. This entry was posted in Baseball, Home, Midwest, Uncategorized and tagged Dayton Moore, Eric Hosmer, Kansas City Royals, MLB, Salvador Perez.